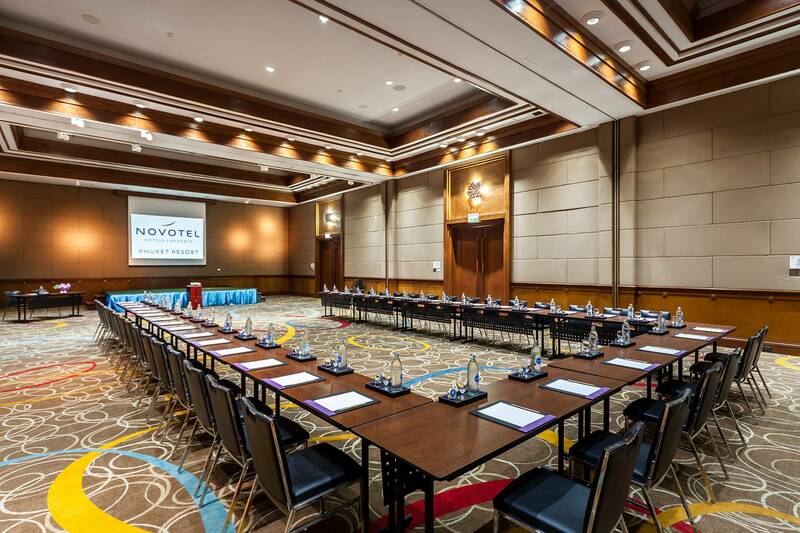 The Novotel Phuket Resort is the perfect Business Hotel in Patong, we provide special meeting rooms and facilities to accommodate Business and Leisure events. Our fully-equipped meeting rooms in Patong can host small or large groups. Highly trained staff and event planners to ensure that gatherings and presentations can be smoothly and easily held. In addition, our meeting and conference room facilities are also flexible spaces. Blended with contemporary Thai architecture and relaxing atmosphere of a lush tropical garden and breathtaking ocean view. Above all, our spacious conference rooms in Phuket can be customise and fit almost any occasion. The hotel’s accommodation and catering services are ideal for providing luxury and convenience in equal measure. 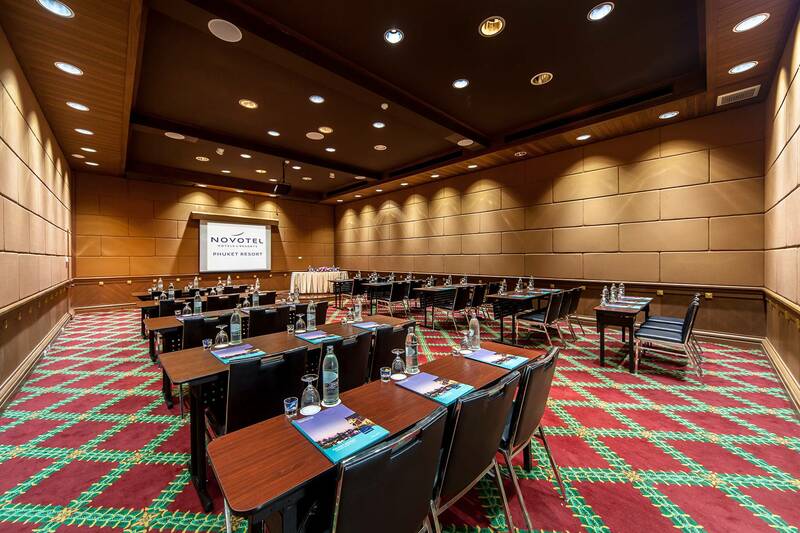 For an excellent meeting experience in a delightful location and close to Patong Beach, Therefore Let our professional team tailor your next events or meeting at Novotel.